Sixty miles an hour, windows rolled down, paved highway humming to the spin of tires, and I’m daydreaming about prairie flowers. My hand rests on the steering wheel while I follow the truck and trailer in front of me. This must have been the view of pioneer women, only the pace much slower and the landscape emptier. No road signs to follow; only wagon ruts cut through the rolling hills. No modern rest stops or gas stations with odd names like Kum & Go; only free fuel for the oxen and skirts for privy privacy. When Mary Green McCanles followed her brother-in-law’s family out to Nebraska Territory, what did she dream during the long drive? It’s easy to lump “pioneer women” into generic categories like loaves of commercial bread — you can barely discern a difference between white or wheat. In my mind, I recite the different prairie flowers to bloom during my stay in Kansas and focus on color, height and texture. Each one has a different season, grows in different soil and might even have surprising purposes. So it was with the women. My appreciation for Laura Ingalls Wilder’s books about her pioneer years renews. She took the time to cast each character in a unique role. Laura was different from her mother, sisters and peers. Each was her own prairie flower within the settler ecosystem. When I became interested in telling the Rock Creek event between two historic men, I wondered if I’d have anything new to say about July 12, 1861. James Butler Hickok has been thoroughly investigated by British historian, Joseph Rosa. Often accused of being yet another fancier of Hickok mythology, Rosa had a sharp mind and a ready pen. Best of all, he did due diligence in his research, something his peers and predecessors did not do as thoroughly. When anyone called out Rosa for his disclosures or discoveries on Hickok, he readily responded and editorial battles ensued in western history associations and magazines for all the world to read. And Rosa supplied evidence for his claims or counter-strikes. However, when it came to David Colbert “Cobb” McCanles, Rosa pulled from the error and gossip filled annuals he corrected for Hickok, but not for Cobb. I understand. Rosa’s lifelong focus was Hickok, and that’s why no one expects anything new to be discovered. At first I felt annoyed that McCanles didn’t receive fair scrutiny. While his grandson attempted to “set the record straight” after seeing his family name besmirched in dime store novels and Hollywood westerns, the result was an over-correction. Who was D.C. McCanles? It depends upon which faction one reads, but each side has gaping holes in documentation. Early on, I wrote the man as a character in a white hat, then black. But it wasn’t until I picked up on how the women would have seen him that the story came to life. Like many before me, I first saw the pioneer women of Rock Creek in general terms — the wife, the former mistress and the station manager’s common-law wife. The wife/mistress tension had been played out ad nauseam and the more I wrote into the story, the less it held up as the linchpin to the events of July 12, 1861. I couldn’t find out much about the station manager’s wife. I felt if I could peer into the lives and minds of these women like a botanist scoping prairie flowers, I could understand better what happened that fateful day. I could come up with something new like Rosa had. Women get lost in the records, often because of name changes. Thankfully Mary (the wife) had sons, and I could track her whereabouts through their names. After all, she did remarry. Sarah Shull also remarried, and other historians discovered her married name and subsequent locations, but they fixated on an imagined love triangle between her, Hickok and Cobb. Because it annoyed me that the lover’s spat angle was cliched and yet another way to diminish the expression of women on the frontier as anything else other than wives or whores, I followed the leads that pointed to Sarah’s profession. The pioneer was an accomplished accountant and store-keep. Given Cobb’s interest to expand his business holdings, it places Sarah in another role. Jane Holmes was the hardest to research. We know through oral accounts she was the daughter of Joseph Holmes, a frontiersman and carpenter. She is also documented as being the common-law wife of the Pony Express station manager, Horace Wellman. She might be the young unmarried woman with an infant listed in the Joseph Holmes household of the 1860 territorial census. Her name is Nancy J. Nothing can be found of her before or after Rock Creek. Nor can I find a likeness of the sort of woman she might have been among the more proper journals, diaries and scrapbooks of pioneer women. She’s my imagined free spirit. Research, writing and daydreaming has been my Rock Creek dance. I’m not penning a biography like Rosa did, but I will take a page from his strategy book. While thumbing through the crisp, brown and musty ledgers of the Kansas State Archives, I used Hickok as an entry point once I couldn’t find anything relating to my principal women. That led me to Rosa’s research. I mean, his actual research he himself did at the Kansas State Archives for decades. For 20 years he did all his research from London, writing correspondence with the state historians. After that he traveled to the Midwest annually to research for 30 days, his holiday. Once he began to publish, he stood on solid documentation. Like Rosa, my fiction will stand upon solid research. Unlike Rosa, I dream the gaps. I drive and daydream of prairie flowers, digesting what I discovered in Rock Creek on this trip. Mary, deepened in character when I gave her a competitive edge over Sarah to wield like power. Cobb’s father wrote of Mary’s vivaciousness and a photo no historian has ever published in a book about Rock Creek shows her to be a gorgeous young woman at the time of the incident. But what else? Even the prairie rose has more to offer than beauty. I learned several stories, digging into old pioneer accounts about the era after the Rock Creek incident. One, told by her two children Cling and Lizza (as “old-timers”) recounts how they grew up playing with the Otoe-Missouri children near Rock Creek. Cling says his mother traded with them. In a second account in another book, Mary features in an obscure incident involving the Otoe-Missouri tribe. They often stopped at her ranch, even wounded. Further, the author relates a simple passage: “Mary often walked the trails alone and at night to midwife and doctor folks.” Not only was she not afraid of the “redman” her neighbors often feared, she took care of them as a prairie doctor. This rose suddenly bloomed in my mind, and I daydreamed about Mary and what her life was like and how she became a lone woman on the prairie, doctoring and delivering babies no matter the origins. No wonder many lovingly called her Grandma McCanles in her old age. No wonder proper history overlooked her improper activities. A third story related to me by a local historian was that Mary’s second husband divorced her because of infidelity. She said I could find it in the county records. Not that it pertains to the events in my book, but it certainly colors the character of Mary who has only her first name inscribed upon her gravestone above “Wife of D. C. McCanles.” I once thought perhaps she was uncertain of who she was — a Green, a McCanles or a Hughes. No, I think she knew exactly who she was and didn’t require the name of a father or spouse to legitimize her life in death. Another conclusion I drew from experiencing Rock Creek in person was that Nancy Jane might be missing from the records, but she served an important role in life. She was friend to Sarah Shull, and able to reinvent herself. I suspect her next relationship was that of marriage. The wildest of the three might have assimilated into a proper life. But I like to imagine her racing a horse across the hard-packed earth with hair as wind-whipped as mine while journeying north. She did not fear change. She might have been a bit like Calamity Jane whom Hickok treated kindly later in life. Newspapers and records might have missed their lives, but the women of Rock Creek live on in my dreams. This week, Rough Writer and author, Ruchira Khanna, has offered a guest prompt. I’d like to pause, near the end of a long journey (or at least a rest stop) to thank everyone at Carrot Ranch for carrying on while I traverse the trails. Especially, I’d like to thank Norah Colvin, D. Avery and Ruchira Khana for stepping up to ranch chores. I’ll catch up with you all once settled on the healing shores of Lake Superior. Keep writing, keep pushing on, and happy trails to you all. June 22, 2017 prompt: In 99 words (no more, no less) write a story that involves a dream. This action could have happened while awake, such as daydreaming, or make up a dream when asleep. Go where the prompt leads as it could be a nightmare or just fond memories or ambition. Respond by June 27, 2017 to be included in the compilation (published June 28). Rules are here. All writers are welcome! Young Sally stirred the bean pot and twittered about lace she’d seen in Beatrice. Sarah saw herself as if in a dream, a memory vividly sketched in mind but dormant for years. Sally blew on the wooden spoon, a lone pinto perched in thin liquid. Bread cooled next to churned butter and wild plum jam. Sarah succumbed to the memory of the day. There never was a last supper. In my mind, my Aunt Mary McCanles is as stoic as the women painted in pioneer portraits. Grim smile, bun puled taut, knuckles gnarled from the hard work of homesteading folded passively on her lap as she sits in her rocking chair for the camera. The romantic notion that wagons west was the adventure we modern descendants missed, that times were once simpler and more decent is among the big western myths. It’s true, Mary had courage and the wit to survive. She worked hard to raise four sons and an invalid daughter on the vast prairie of Nebraska Territory as a widow. Maybe it’s because of the romance of the west, or maybe because she was my kin, I find it difficult to access her complexity. She’s human and must have been a woman of dichotomies. Aren’t we all? Life isn’t just about our personalities and the places we live, but it’s the intersection between our worst and best traits on our worst and best days. Add to the mix a harsh land and the reality of migration, and Mary had no chance to be a paper doll from a children’s American West set. She was a flesh and blood, heart and mind, physical and soulful woman. When I think of stories, I think in terms of what if. To me, that’s where the action unfolds. What if a woman followed her husband and his former mistress out west, migrating to a frontier? What if she left behind a home and family she’d never see again? What if her husband was gunned down one afternoon? What if is the blueprint for the external story. Internally, motivation becomes a driver. Why would she follow her husband and his former mistress to such a place? How did she cope in a new community? Did his death change her? What about love? Did she love her husband because he was the father of her five children or did she marry out of a sense of duty? The internal story shapes the human triumph or tragedy. For a work of historical fiction, research collects the facts that detail the story. These details include every day occurrences, such as the life of a pioneer homesteader. They can also give clues to personality through eye-witness accounts or remembrances. Newspaper clippings give tone to decipher attitudes and culture. For example, slavery in the US is unavoidable, reading a southern newspaper from the 1850s. The attitudes of the culture emerge in ads advertising poultry and slave auctions like normal events. They were, for the times. I’ve talked about the story structure I use to write novels — a W that outlines the hero’s journey. Recently, I heard Matt Damon give an interview about an upcoming movie about the Great Wall in China. He called it a classic hero’s journey. Yet, I think even the tale of a woman on the prairie, sweeping a cracked mud floor and boiling laundry can be a hero’s journey, too. Rock Creek, my historical novel in progress, has five heroes. Two are historically accounted as one hero and one villain. I retell their story through the three perspectives of the women who knew them both and experienced the infamous event at Rock Creek one hot July day in 1861. Only one character has the full hero’s arc — Sarah Shull. The remaining characters fill in the external or internal stories. Motives for the two men have been debated over 150 years. I have new ideas on plausible motives to expand the narrow thinking of the men who have written the histories. I also have motives for the women. But Mary’s domestic motive has seemed bland to me — I don’t want to paint her as just another stoic prairie wife. And Sarah Shull, as former mistress, has been given several titillating motives and I didn’t want her to be a mythological soiled dove of the West. Nancy Jane has been vibrant to me because she is what any woman unfettered could have been — capable and feisty. Writing into Mary’s dark intentions one flash a few weeks ago, I hit on an important plausible motive behind her pursuit of Cobb. It continued to worm its way into my imagination to give more fertile ground to consider motives of Sarah. How might Sarah’s knowledge of Mary’s motives shadow her own? That led to me thinking about Sarah’s friendship with Nancy Jane. After spending a weekend with a McCanles cousin whose research and opinion I respect, I was in a brain churning process. Do you know that feeling? That mind-space where you go over your internal and external stories trying to dig deeper for that coveted surprise you know is there, somewhere between the details? Then a conversation with a trusted friend who knows the full story (something I protect from historians because it is a bombshell and will rock the Wild Bill World) led to a moment of inspiration. You might say, I had a perfect storm this week. When I sat down to tap out that inspired idea, 5,443 words later I actually had my motives emerge fully and I had my ending. That might sound odd — to find an ending to a historical story where we know how it ends. But of course, who would read it if I told the story from start to finish? That’s why novels are never a straight forward telling of the external story. My W has been mapped out for Rock Creek. I have worked hard to fill in historical gaps; I scrapped the first half of the book; expanded the Nebraska accounts; and wrote Sarah Shull later in life. However, I’ve been stumped as to how to weave the three women’s perspectives to show the men in action and use Sarah’s reflections in old age. It all came together in this new ending I wrote. What blew me away is that Sarah had one last secret for me — a motive of her own I had never considered. And it would not have come to me if I hadn’t allowed myself to think of Aunt Mary in a darker way. While breakthroughs seem to abound this month for both my novels in progress, I hoping for a breakthrough in my homeless situation. I have come to enjoy my RV with my little office, couch, kitchen, bedroom, shower and toilet. I don’t feel so “homeless” with such basic needs met, yet we are displaced and have to move on by April because the tourist season at Zion begins in earnest and rates go up beyond my earnings as a writer. The Hub was accepted into a VA vocational program and we continue to battle the stress of his PTSD, he being more stressed than me. Progress is slower than our timeline to move. And we have no way to move our big RV, something we said we’d figure out. Well, we’re still figuring! I’ll hope for some perfect storm of inspiration. The first anthology is making its way back to our capable and talented Trail Boss & Editor, Sarah Brentyn next week. She and all the Rough Writers have been patient and I appreciate that. The Raw Fiction series is meant to be a platform for our anthologies, expanding the literary community here as one that discusses as well as performs feats of raw literary art. The synergy is evident in what we write individually and collectively among such diverse writers. Once we have Volume 1 under our belts, we’ll invite new Rough Writers to join our core of ranch hands and continue to grow. With all this movement and wandering (imaginatively) across the plains of Nebraska Territory, I can’t help but think of migration. Immigration dominates world news as refugees seek asylum, countries ponder how to balance humanitarian efforts with safety protocols, and the US slams shut its borders and evicts “illegal” immigrants from our neighbor, Mexico. The announcement of 15,000 new jobs for border control is not one that has many cheering new jobs in America. What would we have done had Trump lived 150 years ago and was chief of the Plains Indians? Would the west have known such a migration as the pioneers? Would we have an Indigenous west, open to Mexico, closed to Americans? And we just discovered 7 new earth-like planets only 39 light years away! What will future global migrations look like? February 23, 2017 prompt: In 99 words (no more, no less) write a migration story. It can imagine the dusty or arctic trails of the frontiers past or look to the travel across the galaxy. What issue about modern migration bans might influence an artistic expression in a flash? Migrate where the prompt leads you. Respond by February 28, 2017 to be included in the compilation (published March 1). Rules are here. All writers are welcome! Walking across the Higgins Street bridge, I see a gathering of human crows in hooded dry-suits lined up along a small strip of rocks and willows. In Missoula, Montana where the Clark Fork River runs through it, the group looks like Navy Seals on a mission. These are not soldiers, but adventurers with surf boards in hand. Yes, they surf in Montana. Landlocked by other western states, it matters not that Montana has no ocean. The Clark Fork pounds over rocks beneath the Higgins Street bridge and a perfect surf of sorts forms at Brennan’s Wave. Conveniently located near a park, below a bridge and just blocks from the University of Montana, this phenomenon attracts the adventurous. My adventure is to watch from the bridge above. I’ve had enough adrenaline and drama in my life to feel satisfied to watch others dip into killer waves. Adventure doesn’t always mean having to do the deed oneself. I don’t have to squeeze into a dry-suit, buy a board and a personal flotation device, or listen to the horror stories of others who forgot to wear a helmet. I don’t have to plunge into cold mountain water, experience roiling rapids over my head or wonder how long I can hold my breath. Being witness is an adventure of its own. This thought has been with me long enough it feels like wisdom. I’ll let others scale the rock cliffs or dangle in acrobatic silks from iron bridges. I’m a witness to adventure. I snap photos and soak up sunshine from my perch. Has this been the way of others before me? When I was younger and unafraid to tumble off the back of a gelded beast 17 hands tall, I galloped. I was, and remain, terrified of water, yet I river-rafted, sucking in air to my rhythmic hyperventilation until I could control my breathing and not show my fear. I’ve jumped sand dunes on a three-wheeler, plunged skis over a cornice, and gave birth at home in defiance of doctors. Younger Me had an edge of cowboys & Frank Sinatra singing, I Did It My Way. More Mature Me savors mountain bluebirds on a fence wire, reads books alongside rivers and waves at the surfers. I don’t need to explain my soul or my retirement from adventure to anyone. I witness the adventure of others. It still counts. In history, I think it’s overlooked that women are as adventurous as men. Women tend to settle into maturity quicker because of maternal instincts, perhaps. Roles dictated by generations of culture and society create a framework that’s difficult to break. Or is it? What if women have always had the capacity to experience extreme sports or elite adventures, but that capacity is hidden within the interior of the imagination? I think of Sarah Shull, Mary McCanles and Nancy Jane Holmes as I stand on the Higgins Street bridge and watch surfer after surfer take on Brennan’s Wave. Did they find satisfaction in witnessing, as I do? Did they feel the thrill of the Pony Express ride when horse and rider pounded hooves across the hard-packed prairie sod of summer? Could they imagine themselves as part of the great western frontier adventure without having to bare-arm wrestle other men or saddle a snorting bronc? Sarah Shull became a memory box for an important incident; Mary McCanles faced down Pawnee attacks as a mother and widow; and Nancy Jane, well what Nancy Jane did will surprise everyone. These women knew adventure. What adventure calls to you? Has it shifted over time and ability? March 23, 2016 prompt: In 99 words (no more, no less) write an adventure, experienced or witnessed. Explore your own ideas about what makes an adventurous spirit. Is it in the doing? Does standing witness count, and if so, how? Be adventurous! Respond by March 29, 2016 to be included in the weekly compilation. Rules are here. All writers are welcome! Hickok grabbed across his hips and spun each revolver like a sideshow performer. He grinned at Sarah and Nancy Jane, both gathering lunch from the garden. “I’ve returned from my adventure,” he announced. Nancy Jane stood up, brushed dirt off her faded calico skirt and grabbed the garden hoe, twirling it around her body in a similar manner. She rested the implement across her shoulders. Sarah, still kneeling by the peas, laughed. Hickok frowned. “Well, it doesn’t shoot,” he said. Nancy Jane swung it off her shoulders and sliced a sunflower stalk in half. “Don’t need to,” she replied. It’s dark and the dogs have to pee. With one arm wrapped around the porch post, I lean toward the dark lawn to let Grenny reach as far as he can to pee on leash. No way will I let him cavort in the darkness. He’ll bring back a monster I can’t see. The Hub calls me the Cowardly Cowgirl. He finds it amusing that I scream over mice and refuse to step a toe across the dark shadows of night. He recently bought me a monster-finder. I think it’s actually called a night scope, but whatever it is the device can pick up eyeballs and heat-shifting forms in the darkness. Like that’s going to make me less afraid of monsters. I live in North Idaho where monsters are real. A woman new to the area posted on a local social media group about tips for hiking alone. No one mentioned lurking rapists or muggers, but everyone who responded had a story about wild monsters. The woman asked if she need a firearm, bear spray or of her dogs would suffice. The responses? Both, and don’t let your dogs run or they’ll bring back whatever is out there to you. Yep. I know that. We live in grizzly country. Wolves slather on the fringes of my property and I’ve nearly been trampled by a moose (not nearly, but could have been). Coyotes grow to trickster proportions and in the summers I even dread the pond gang of bull frogs. Monsters and darkness go hand in hand. Give me broad daylight and I’ll pick huckleberries past the clumps of bear hair, read my book on the Pack River while my dogs entice moose or wolves into an attack, and explore remote and unknown places. I don’t carry bear spray or pack a firearm. But I also don’t stray far from the man who does. I feel safe from monsters in the company of the Hub. After all, he did rescue our meddlesome dog from a grizzly by mere force of voice. Sgt. Mills mode I call it. At night, though, I get jittery. Even with the Hub leading me to the back pastures to teach me how to use the scope. He seriously thinks that giving me night vision will ease my monster fears. I tolerate the lessons and groan when he says, “Let’s go look at stars and monsters.” For four years this man trudged at night in South American jungles with deadly snakes, spiders the size of eco-cars and guerrilla soldiers with guns. He’s been bit, shot at and drowned three times yet he doesn’t fear the dark. Instead, he sees darkness in our government, in drug lords and the evil intentions of powerful men. We all see monsters in one form or another. Call them fears or risk-avoidance. And we don’t agree on the monsters we see. The Hub might think it foolish for a pastor to minister to addicts, felons and the mentally unstable, and was not surprised when Pastor Tim was shot. By a monster, some might say. A crazed monster who himself feared aliens. But Pastor Tim sees hurting and broken people, broken systems, not monsters. His family asked others to pray for the man who shot him. It’s not monsters that interest me, but rather monster-slayers. And like monsters, we don’t all agree on what needs slaying. It’s perspective. However, it is also a rich human complexity to explore in literature — what are the monsters and who are their slayers? Are monster-slayers heroic or misguided? James Butler Hickok earned the name “Wild Bill”once the story of his infamous fight with the guerrilla McKandlas and ten of his men became popularized in Harper’s Weekly (think sensational tabloid). And David Colbert “Cobb” McCanles earned the title of monster, although recent historians are satisfied to raise him up to that of a bully. But why is Cobb a bully and Hickok a frontier hero? Again, it’s perspective. Hickok is forgiven any sins because he was a Civil War scout, a plainsman and occasional lawman. However, Cobb was a lawman consistently for over six years. He was General of Musters for his militia and when he arrived in Rock Creek, he organized the citizens to adjudicate crime. He refused to kill criminals (vigilantes often hung men for lesser crimes or those fabricated). His punishments, which could be harsh, did not result in loss of life. Cobb never killed anyone in the line of duty whereas Hickock killed over 100 men. Cobb is called a bully for punishing people and Hickok is revered for bringing order to the frontier by killing “bad guys” a.k.a monsters of the west. Hickok is a monster-slayer; Cobb a monster. See how complicated it can be? We all need special goggles to help us see in dark places. Many times, the darkness is within. Some of us write to bring light to stave the darkness and others write the darkness out in order to let light in. In a way, considering all the struggles we have as writers to keep the monsters of doubt at bay, we are all monster-slayers when we persevere to write. March 9, 2016 prompt: In 99 words (no more, no less) write a monster story. You can pick any perspective, even that of the monster. It can be literal or symbolic; it can be heroic or realistic. Think about the shifting roles of what is a monster and who is a monster-slayer. Consider how easily we give the label to others or to fears we can’t name. Respond by March 15, 2016 to be included in the weekly compilation. Rules are here. All writers are welcome! A big Gracias to Geoff LePard for the monster photo. Read more about where this monster lurks. Wilstach patted his mustache with a lace hanky. Sarah, lost in thoughts of Rock Creek, heard her friends speak in her head. “A fine dandy for lunch, Rosebud,” Cobb said. “I’d play poker with him. Strip his money and ego in minutes,” added Hickok. Wilstach repeated a question. She had to snuff the voices, bury secrets with the dead. Lunch was not so tempting that she’d betray them. Her stomach growled in protest. Mr. P would ask, “Have you read the Iliad?” I’d shake my head no. If I had my way, I’d have stayed lost in the Little Woods or the Prairie. Eventually I found my way from Laura Ingalls to the diary of a girl who died among the Donner Party. I’d seen wagon ruts, knew about the granite walls where you could still see scrapes from the wagons hoisted up impenetrable box canyons, and I often read my library books in the back of an old Conestoga abandoned along Pleasant Valley Creek. But Mr. P wasn’t having any of it. He sent me through Greek mythology, introduced me to classics and quizzed me on each book. I couldn’t escape this Apache. Yes, he was Apache–a scholar, a poker player, the husband of one of my school teachers and he worked for the county in a little modular office set up next to the stout library built of rock. He knew how to lure me. “Want to know where you can find arrowheads?” My eyes lit up. Yes! The catch was, read another classic. For some reason, these books failed to capture my imagination until I read Bram Stoker’s Dracula. Yet what intrigued me about Dracula was what kept me going back to the library for Laura Ingalls. It wasn’t just the stories, but the authors. I wondered at who Laura was behind the page as much as on it. For some reason I can’t explain, I was curious as to why Bram Stoker would write such a story. So I wrote a story about Bram and how he liked history and mountains and found himself researching Vlad Tepes in Romania. I was 12 or 13. It was after I discovered writing stories. My first constraints were given to my by my 7th/8th-grade teacher who also made me run long distance for physical education. Where I lagged in running, I excelled in spinning stories. I wrote three pages. He said write five. I wrote five and he said write ten. I suspected he was training me like in PE–run half a mile this week, one mile the next. In 8th-grade I was running five miles and turning in 15 pages a week. I dropped the running but never the writing. Fast forward through my life and other mentors flash in and out of memory. I can tell you what each library was like wherever I lived. In St. Paul I discovered the History Center, where a humble library sat upon three levels of historical archives. Here I learned to walk in the shadow of classics that mattered most to me–historical fiction. I secretly dreamed that one day I’d finish a historical novel. Now it’s the path I walk (not run) out loud. I’m writing historical fiction, revising my first draft, poking at the idea for my second. With my contributions to Go Idaho, I’m firmly set to join Women Write the West. This is my dream and I would not have it if it weren’t for the libraries in my life, and the people who pointed me to them. When was the last time you visited your library? Libraries are more than a container of books. As writers we should be attached to our libraries like a baby to mama. They comfort and nurture us; they help us grow and learn. The Library in Sandpoint is as amazing as a star. It twinkles among a swath of other diamonds that make up the night sky. I have one, you have one, every community has one. And like stars, each one is worthy of wonder. May we never lose our wonderment for libraries! Yet, what do you do for your library? I know what East Bonner County Library District does for me. Books. They have old favorites, new fictions. It was upon The Library shelf I discovered, I Was a Revolutionary by Andrew Malan Milward, a collection of short stories rooted in history and place, weaving in and out of time, genders and ethnic identities. It opened my eyes to threading shorts in a long way. I can check out seeds from my library! Seeds! I can also deposit seeds from my garden. When I do something for The Library, I get something in return. I became a volunteer and I get supportive and informational monthly meetings with chocolate. I host Wrangling Words and get support for building a local writing community. I put up posters and I meet people and get coffee. I make posters and I get invited to a design workshop. And did I mention, this is all free? I get to grow and learn as I did in school. Learning is life-long at the library. In 1909, Fairbury Public Library become one of 69 Carnegie libraries in Nebraska 48 years after Cobb’s death, two years after Mary died (in Fairbury) and one year after their son Monroe met Wild Bill Cody. Monroe would tell the western entertainer his version of events at Rock Creek that eventful day when Hickok (Cody’s good friend) shot Monroe’s father. Today, Fairbury Public Library is the repository for genealogy in Jefferson County where Rock Creek was located. And yes, I’ve been to that library. It’s the photo for this week’s challenge. Appalachians are often thought of as uneducated. Yet, Cobb was highly educated and so were his sisters and brother. His father was a school teacher. Cobb introduced one of Jefferson County’s first schools, paying a teacher out of his own pocket to teach his children and others in the area. I wonder if he would have had a personal library. Sarah was also literate, but Mary and Nancy Jane were not. Literacy didn’t seem to get a woman further in life during these times. And many northerners (Yankees) made poor assumptions upon hearing a southern accent, thinking a slow drawl meant an uneducated mind. How wrong, yet these biases still stick to the annuals of history. Literacy is a great equalizer, and as Mr. P tried to impress upon me, a foundation of books builds an open mind. March 2, 2016 prompt: In 99 words (no more, no less) write a story that includes a library. You can honor the libraries in your own experience, dream about libraries of the future or explore a community without one. Bonus points for discovering something you didn’t know your library offered. For example, my library offers organic and heirloom seeds. Respond by March 8, 2016 to be included in the weekly compilation. Rules are here. All writers are welcome! The stranger scuffed his boots when he entered Rock Creek Trading Post. “Well, I don’t think you’d have what I need, anyways.” He touched the brim of his hat. It read, Tom Thumb’s Picture Alphabet. Some spouses want to look at mattresses. Space age foam, coils and springs, firm tops, pillow tops. Mattress makers have even cleverly devised ways to please more than one mattress occupant with dual sleep number settings. Finding a resting spot is vital. But my spouse is asked to search for different resting spots. I’m not interested in mattresses; I want to find old cemeteries. On our forest service map, the one we use to navigate where to cut firewood in the Kaniksu National Forest, I discovered listings for known graveyards. I say, “known” because Idaho has a creepy law. Home burials are legal in most counties within certain zoning restrictions. Back in the 1900s when Elmira was a thriving town for railroad workers, backyard burials were common. For a history buff like me, I dig hanging out in cemeteries where history reads in the names and dates carved in stone. So I was puzzled when I discovered that Elmira had no old cemetery. A local explained why. After all these years, the Elmira Schoolhouse stands, but we no longer know where anyone buried loved ones in backyards or family plots. We’ve forgotten these final resting places. This makes me curious to discover the ones I see listed on our map. 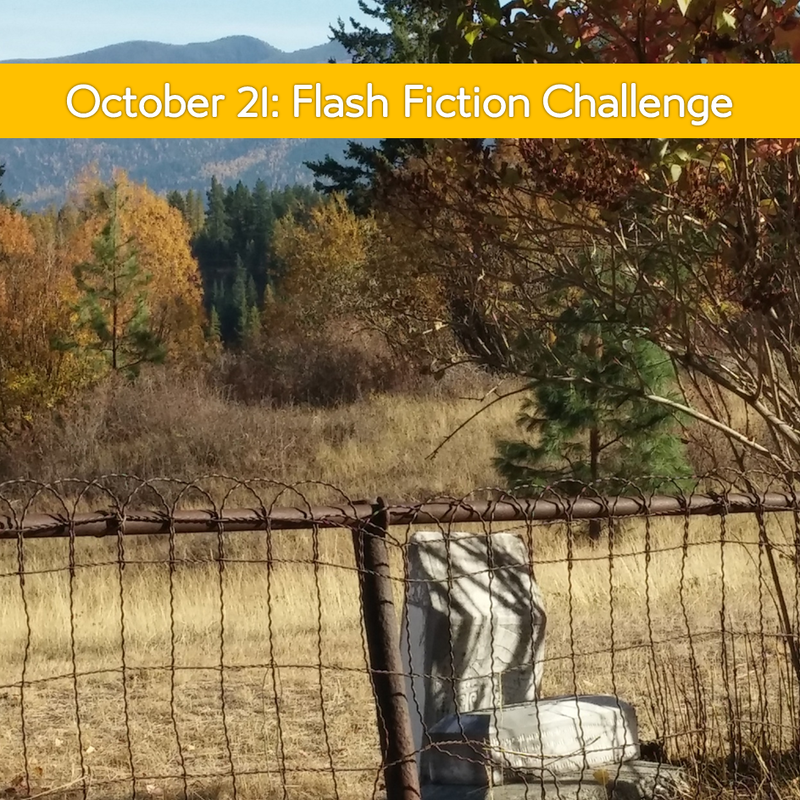 The Hub is less curious, but has promised me a cemetery day after I pitched a fit in Bonner’s Ferry this afternoon. For some unknown political or economic reason, gas in Bonners is way cheaper than it is in Sandpoint. Our normal route to the firewood stand is up a two-track called Twenty Mile Road. From there we take a logging trail numbered 2260A on our map. Because the Hub wanted to fuel up in Bonners, I thought we’d take the back way in and look for the Boulder Cemetery. No. That’s all he said when he jumped back in the truck, put it gear and turned south toward Twenty Mile. I wailed like a spouse told, no we aren’t going to get that mattress. Don’t mess with my resting place curiosity! I gave up an afternoon of blogging to get firewood, all I wanted was to go past a cemetery. With a heavy sigh, the Hub pulled over and looked at the map. He pointed out the distance, and he was right. But wait. I saw a cemetery listed on the map just east of Bonners and not too far. This time, I got my way. It’s called Grand View and it is a resting place with a fabulous view of the Cabinet Mountains. The very mountains the Hub would prefer to be in with his chainsaw. He let me snap a few shots and then agreed to taking a cemetery day on Friday. We continued to the forest and tipped several trees (he, not we) and skidded several logs (me, too). You can tell from how giddy I get that I had fun even though I was thwarted from viewing more cemeteries until later. Believe me, we both are going to enjoy our resting place tonight. When working on historical fiction, I begin with the non-fictional parts — the facts that detail the story like trim on a hot-rod car. Cemeteries can reveal much more than dates and names. Last year, when I visited the Fairbury Cemetery outside the remains of Rock Creek Station in Nebraska, I noticed an oddity about Mary McCanles’s headstone — it bore no last name. That was really the starting point for me to get into this woman as a character. The stone did claim her role as “wife of D.C. McCanles” but revealed nothing of her maiden name nor her brief marriage years after Cobb’s death. I felt she had a sense of identity loss, having given up her Green family to follow her husband she chose the side of the Union over the Confederacy. Even after the Civil War and after Cobb’s death she never returned home. Another telling point from the Fairbury Cemetery is the fact that D.C. McCanles and James Woods are listed on a single headstone. If you didn’t know the story, you might puzzle greatly over that one. The day Cobb was shot, his two ranch hands were also killed. James Woods was not only a ranch hand, but was Cobb’s young cousin from North Carolina. The reason they were buried together, according to witness statements who did the burying, is because the neighbors built one large pine box and interred the two bodies in one grave on a knoll behind the station. The third body was a quarter mile away, thus had its on final resting place. So, if Cobb and James had a backyard burial, how did they get to the Fairbury Cemetery? A family story claims that when the railroad cut through that knoll, Cobb’s son, Clingman, met the workers with a rifle. He didn’t want to disturb the bones of his father. Finally, the railroad agreed to re-inter the bodies in a single grave in Fairbury. Mary is buried on one side, and Clingman on the other. Cobb’s only daughter, Lizzie, is also buried with her brother and parents. Cobb and Mary did a rare thing back in the 1850s — they let their baby, who was deprived of oxygen at birth, thrive. Most parents let such children die of natural causes in infancy. That Cobb and Mary cared enough to give Lizzie life, speaks of their compassion. Clingman never married and took care of Lizzie, his mother and the third ranch that Cobb built. And I could read all this in a cemetery. What will I find on my upcoming cemetery day? I don’t know! That’s part of the fun. Maybe a name or gravestone moves me to research Census records, and maybe I uncover new material for future historical fiction. And what will you discover, so close to Halloween and with a possibly ghoulish prompt? October 21, 2015 prompt: In 99 words (no more, no less) write a story about a final resting place. You can take any perspective that appeals to you from the historic to the horrific. Just don’t scare me too greatly. You can also choose to write about those buried before they came to their final rest. An extra challenge is to discover a story or character from a local cemetery. I double-dog dare you to join me with your own cemetery day! Respond by October 27, 2015 to be included in the weekly compilation. Rules are here. All writers are welcome! “Call me, Sarah, Mr. Wilsatch.” Her stomach rumbled at the sight of steaming soup served to their table. “All right, Sarah.” Frank Wilstach dabbed his lips after each spoon of broth. Why did it matter they had moved Cobb? He was never one to rest. The way he bounds across the fading green grass of my lawn says he’s still a puppy. Yet, he’s well over 100 pounds with long white fur wet with morning frost. His tri-colored face looks like that of a St. Bernard. I just caught him and a chunky Dobernam Pincher lifting legs over my snap dragons. I’ve never seen these dogs before, but here they are. Dobie has a collar and I call. A sleepy voice acknowledges the one dog, but not the other. Thirty minutes later and the owner collects her dog. She lives across the highway and train tracks from us, on the hill. I cringe at the thought that these two crossed those deadly paths. Hunk stays behind and sprawls at my feet on the porch as I dial dispatch for the county sheriff. Someone had reported a missing St. Bernard. Male. The dispatcher asks if my new dog is that gender. If she could see the long hair she might better understand my dilemma in answering! Maybe, I say. Then I remember he lifted his leg on my flowers. Yes! The missing dog was reported to be male, too so she gives me a phone number to call, but no one answers. For Hunk’s safety we house him in the garage with Bootsy. Somehow, the Hub knew he wouldn’t harm the cat. He doesn’t but eats all her morning kibble, then pokes his nose out the cat door. About the time we — as in the Hub, his brother Gee, sister-in-law the Italian Cowgirl and me — wonder what to do, a truck pulls into our driveway. A small woman climbs out and in a worried tone, asks if we’ve seen a St. Bernard. Hunk’s real name is Doug and he’s only eight months old. He grins like a kid when we let him out and he sees his mama. She was worried he’d been stolen like her last dog. It broke her heart. Thievery is on the rise in Elmira. We tell Hunk’s mama that while we were gone a week to Nevada someone stole every last apple from our tree. I was devastated when we came home. No more apple pannekoeken for breakfast; no apple crisp or apple pie; no apples to sauce, dry or cider. We had shared with the bucks who munched nightly on the dropped apples. We gathered up fallen apples before we left and never considered that anyone would steal the entire crop in the tree. Hunk’s mama tells us that the blueberry farmer on the hill above Elmira lost half her harvest in a night to thieves. Another neighbor has lost all her eggs. Someone is stealing food. Never would I turn down a hungry person. In fact, I feed people; it’s in my nature. With family who followed us 16 hours from Nevada, the first thing I did when I got home was ready the kitchen. I’d happily share my garden harvests. Most of my neighbors are the giving sort. And most of us work hard to plant, hoe and harvest food. To have that stolen is a deep insult. It’s time and effort none of us can easily get back. It was to save us money and provide a treat for us and visitors in winter. Food is to be shared, neither hoarded nor filched. The thought of having a dog stolen is just as unsettling. It’s like a family abduction. Most of us wear that worried face we saw on Hunk’s mama when she pulled in to ask about her dog. Missing is hard to take; stolen is unconscionable. When I posted Hunk on Facebook with my phone number, many people said keep him; he’s beautiful. Yes, he is. But he’s no object. Had he been abandoned or abused we would have done something to protect him. Never would I steal another family’s beloved four-paw. This, of course, takes me to pondering Rock Creek. Thievery is an underlying theme. Cobb McCanles historically was accused of stealing tax-payers’ money in North Carolina and robbing pioneers on the immigrant trail past his ranch. Cobb was sheriff in North Carolina and once he arrived in Nebraska Territory he formally applied to be adjudicator of local crimes. The territorial governor denied his request because the population was too sparse in his county, but like Elmira, his ranch had a major thoroughfare. You never know who wanders these roads anonymously. In the end, Cobb’s that is, he was the victim of theft. The Pony Express bought his Rock Creek Station without ever paying him. Yet, Sarah Shull returned home to North Carolina as an old woman where family and neighbors believed her to be in possession of “gold and silver” that Cobb had stole earlier. My research shows that these myths are unfounded, though historians continue to repeat them. During the Civil War, the Watauga County courthouse and all its records burned to the ground. Those who claim that Cobb stole tax-payers’ money also claim that the evidence went up in smoke. Yet, I discovered an interesting way to explore the legal proceedings without court documents. Because Cobb McCanles left the area, any lawsuits or pending crimes had to be published in the legal notices of a newspaper. The only legal notices that mention Cobb relate to the sale of his own property in an elusive manner that avoided a creditor. The creditor is actually the one who scammed locals out of their property by selling big lots with homes used as credit. As sheriff, Cobb had to collect money due or serve notice of default. He could have stolen money had the locals any to take. Instead, he sold his property in succession to several buyers to avoid his creditor’s claim. It’s complicated, and it worked. He defaulted but was not a thief. Perhaps it is a fine line between needs and wants; earning and taking; survival and thievery. 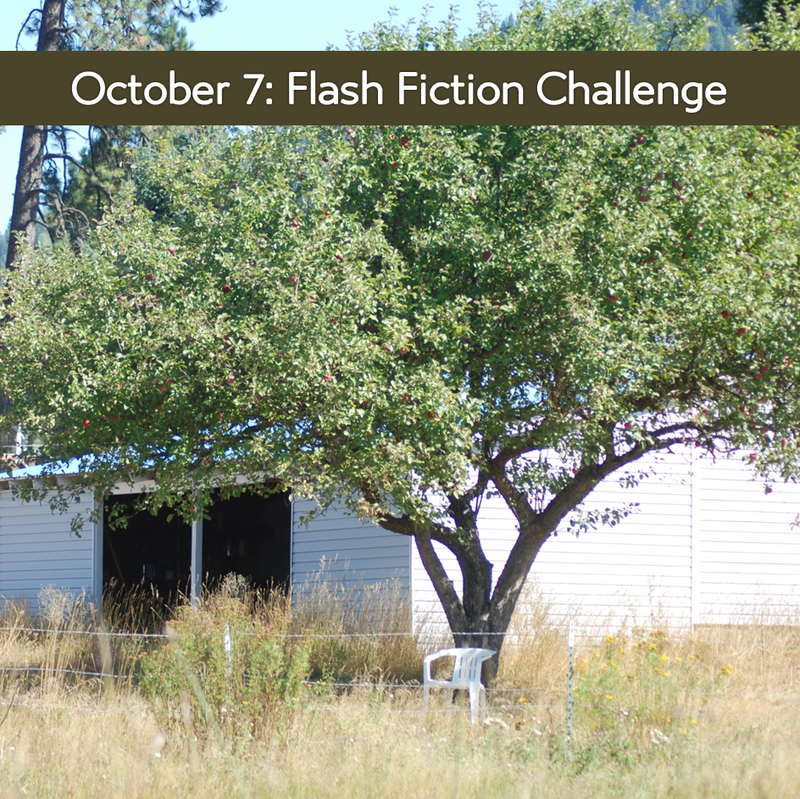 October 7, 2015 prompt: In 99 words (no more, no less) write a story about a thief or a theft. Consider motives and repercussions. Is the act a matter of perception? Is it a daring maneuver or a desperate bid for survival? Think about different instances of stealing. Respond by October 13, 2015 to be included in the weekly compilation. Rules are here. All writers are welcome! Joe’s body crumpled to the ground. Sarah held back Nancy Jane who trembled while they watched Cobb punish Nancy Jane’s father. “Thieves get the third degree, Joe Holmes. You were caught with stolen goods.” Cobb hauled the old man to the thorny locust tree. “No!” Nancy Jane screamed and Sarah lost her grip on the woman. She flung herself between her father and Cobb. Sarah flinched. “This is interesting.” Hickok walked up to Sarah from the barn, arms folded, revolvers resting on both hips.